My daughter just started preschool and all I can think about is how fast time flies. As parents, I guess we don’t really see the time passing us by until the day we watch our babies walk…out the door for their first day of university. But enough projecting, sometimes it’s all we can do to keep up with their learning pace, so when my three and a half year old started correcting me in our dialogue, I realized that it might be time to get her into preschool. So much has changed in the school system since my time, and (as a writer and a self-proclaimed anglophile/English history fanatic) I was really sad to hear about the phasing out of cursive writing in schools. Handwriting is an art, perhaps, but it also serves a very basic and necessary function: communication. Once cursive is gone, it won’t be long before the almighty type will begin to chip away at all the options for putting pen to paper. But I will be here to set the example for my child—when she’s ready, she’ll learn it from me. 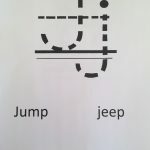 I might be putting the cart before the horse by strategizing a cursive writing plan in her third week of preschool, but it’s never too early to get working on fine motor skills and I figured if I could meet the challenge to combine fun and learning, I’d stand a chance of succeeding in this task. 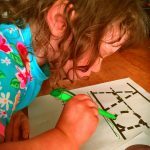 Now, my toddler is like most toddlers, that is to say, her attention span is slightly larger than a gnat’s so keeping her focused is always a challenge. 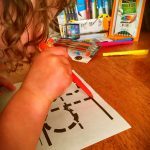 Fortunately, she loves to colour and she knows the alphabet, so adding some letter recognition activities to colouring was a natural path. 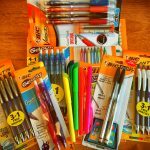 To add some serious awesomeness to our project, the good people at Bic decided to help me out on this journey, and sent us a box of cool stuff to try out! When I showed her the box and asked her to guess was in it, she could barely contain her excitement. 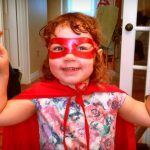 She quickly donned the superhero mask and cape that were also in the box, picked her favourite (the pretty pencils) then, spotting the alphabet printables I had for her, immediately set herself to the task. She loves to match pictures with the letter and sound, so I couldn’t have found a happier way for her to spend an afternoon! After Mommy scooped up the Stylus and Bic Atlantis pens and Daddy claimed the mechanical pencils, we all set to work tracing our letters. 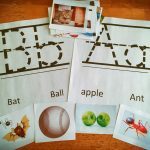 Since she knows her alphabet—well, she knows the song, and can recognize a few letters without prompting—I created an activity that will help her learn to trace the shape of each letter and understand it in context. I created a template that had a page for each traceable letter and two words for her to associate with it, then I found pictures to match the words on each page. 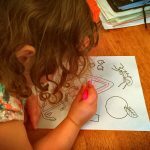 After she selected the right pictures to match the words and picked out the letter in the word, she could then have the fun of tracing the letter and colouring it in! After we did a few letters, she needed a break from the structure as three year olds do, but she wasn’t done using the colourful Bic pencils. She began picking out the corresponding letter in each word, tracing them. And with each letter traced, I could see that her little hand got a little steadier, the outlines became more confident and accurate. 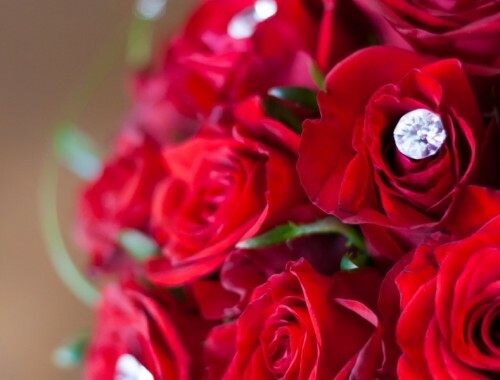 It was a mommy triumph! 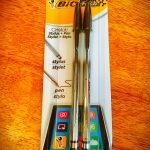 Bic’s Fight For Your Write campaign is one that is close to my heart. I love to see beautiful handwriting, and I will be teaching my daughter cursive writing. 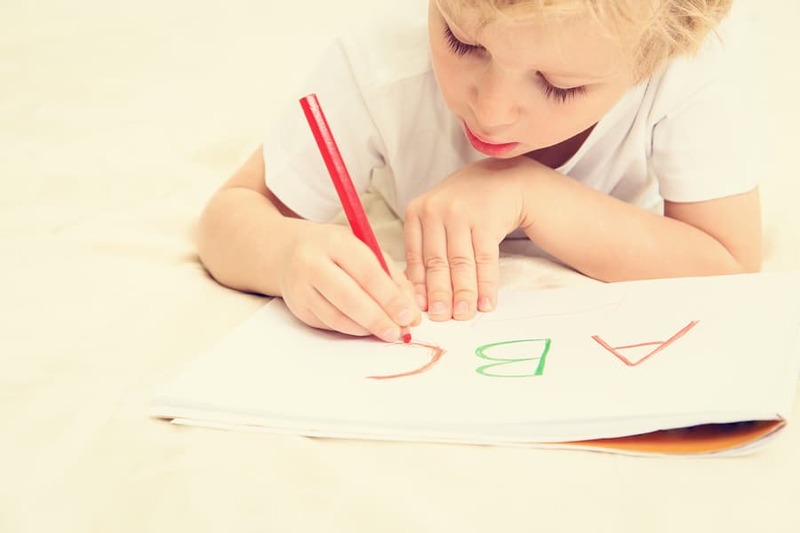 Bic believes that engaging your child in a handwriting activity every day will make it important to them too. Between August 10 and September 20, Bic is asking Canadian parents to spark their kid’s creativity by offering weekly handwriting challenges, and for every submission received Bic is donating $10 to the Boys and Girls Clubs of Canada to help all Canadian children find success! 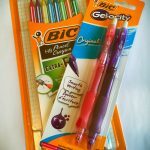 As if that wasn’t reason enough to join the movement, participants will be entered into a weekly draw to win some incredible Bic Stationary prizes, and submissions will also get participants one entry into the Grand prize draw for $5,000 towards your child’s education! 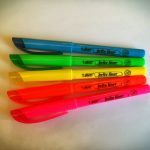 The family of Bic writing tools is amazing; there are so many styles and colours to choose from that my daughter was too excited to use each one for more than five seconds before grabbing up her “next favourite”. 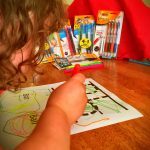 The sizes are perfect for her little fingers to grasp and hold with confidence, making her time spent colouring and drawing an excellent session working on her fine motor skills. Don’t tell her that, though—as a threenager, the last thing she wants to do is mommy approved activities. Disclosure: This post was sponsored by BIC. All opinions are our own. I was so sad when my kids didn’t learn very much either – I think they’ve been phasing it out for a while. At least in Kawartha Pine Ridges School Board. We practiced it at home too. On the plus side, we can write secret notes to each other in the nursing homes and they won’t be able to read them!